Can You find the man? Yes. Remind me not to grind those beans! Wow, he must be a tiny one! I could just barely see him! Quiz for today. Many brands of coffee,coffee advertisements and coffee houses feature a goat. Why? What name is associated and what country are associated with the goat? (11-30-2013, 09:20 AM)Barrylu Wrote: Quiz for today. Many brands of coffee,coffee advertisements and coffee houses feature a goat. Why? What name is associated and what country are associated with the goat? Barry, I had to Google this since I had no idea. Obviously, I won't participate so others can guess but what an interesting story! Thank you for these little quizzes, etc. as they are a lot of fun and, frankly, add to the whole coffee experience. When are you going to reveal the answers, Barry? I am stumped! 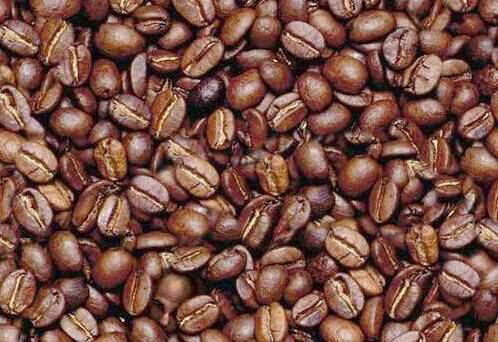 Coffee quiz Answer. Kaldi was a goat herder in ancient Ethiopia. It is he who is credited with the discovery of coffee. Kaldi, noticing that when his flock nibbled on the bright red berries of a certain bush they became more energetic (jumping goats), chewed on the fruit himself. His exhilaration prompted him to bring the berries to an Islamic monk in a nearby monastery, but the monk disapproved of their use and threw them into a fire, from which an enticing aroma billowed. The roasted beans were quickly raked from the embers, ground up, and dissolved in hot water, yielding the world's first cup of coffee. The story is probably apocryphal, as it was first related by Antoine Faustus Nairon, a Maronite who became a Roman professor of Oriental languages and author of one of the first printed treatises devoted to coffee, De Saluberrima potione Cahue seu Cafe nuncupata Discurscus (Rome, 1671). "The myth of Kaldi the Ethiopian goatherd and his dancing goats, the coffee origin story most frequently encountered in Western literature, embellishes the credible tradition that the Sufi encounter with coffee occurred in Ethiopia, which lies just across the narrow passage of the Red Sea from Arabia's western coast." Very interesting, Barry ... thanks for sharing this interesting story/quiz. Barry, thanks for the interesting history lesson!